Trying to weed thru the myriads of metal roofing contractors? How can you know who to trust? Your roof can be trusted to the specialists here at Metal Building Company. We are trained to handle any type of metal roof that you need installed. We have completed the installation of millions of square feet of metal roofing. We can also keep your roof repair cost down. No project is too big or too small for us. We can install every aspect of the project including structural features, the roof itself, down spout and gutter, sky lights, louvers and vents, and more. But that isn’t all. Read more about why we would be a good choice for you. There are a number of metal roofing contractors to choose from but we think that we are the best choice for anyone looking for a metal building contractor. 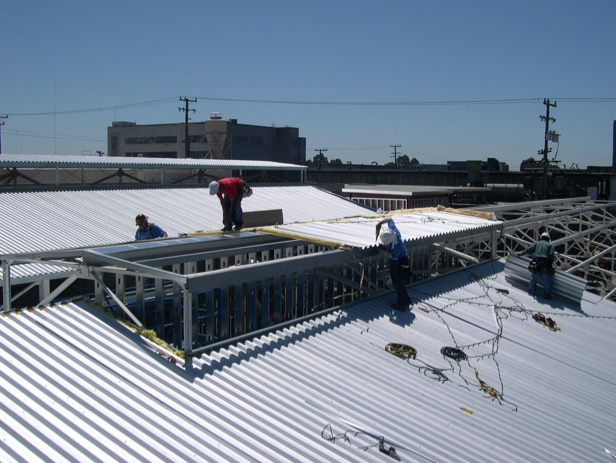 Metal Building Company has been servicing the San Francisco Bay Area since 1976. We adhere to the highest standards and practices and are devoted to seeing each metal roofing project through to complete satiety. We guarantee it on every project. The metal roof project is not finalized before you say it is. We really appreciate Metal Building Company’s approach – they listened and provided solutions specific to our siding project. The team lead was extremely thorough and detail oriented and the end results excellent. We selected Metal Building Company to demo and replace a full metal building structure. We liked the fact that they are a local company and we had seen their work. Work was excellent and involvement of the Manager and Field Services Foreman was of great value. Call us now at 510-635-0111 for a full explanation of how we might be able to help you. We are confident we will be able to add your name to our list of satisfied customers.